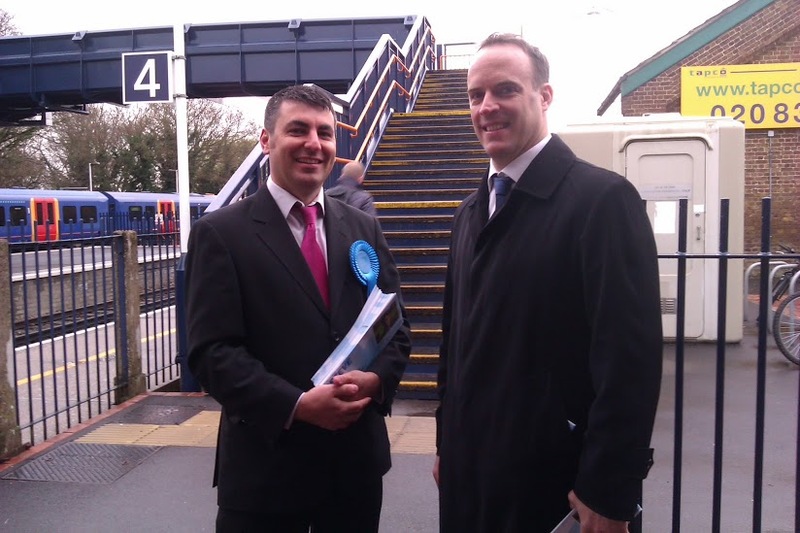 Here's a photo of me at Esher Station with local MP Dominic Raab in between the showers on Friday. It was a very productive morning and I had the pleasure of meeting many voters and hopefully picking up some support. I suspect this election will be close and every vote will count.